Frame rate is capped at 30 FPS. See High frame rate. Multiplayer mini-games from console versions are not present. Patch 1.2 fixes several issues related to modern operating systems. Already included in Steam version. Adds option to unlock the framerate within an .ini file. Fixes crashes for Windows 10 users. Extract the contents of SilentPatchBully.zip to <path-to-game>. Vert-. 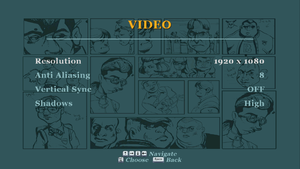 Use Bully Widescreen Fix. Stretched. 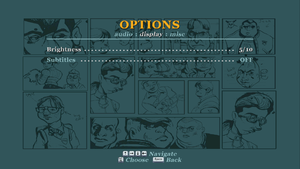 Use Bully Widescreen Fix. Frame rate is capped at 30 FPS by default; see High frame rate. Create a blank wndmode.ini file in the installation folder. The game will now run borderless by default. To enable the border, close the game, open wndmode.ini, and change Border=0 to Border=1. Four missions, Balls of Snow in Chapter 3, Weed Killer in Chapter 2, The Gym Is Burning in Chapter 5, and Finding Johnny Vincent in Chapter 5 may break or become glitched. For those missions limit the FPS to 30. Some cutscenes might not properly play out if the FPS exceeds 60. If the game goes above 120 FPS it may appear to be running at double-speed. 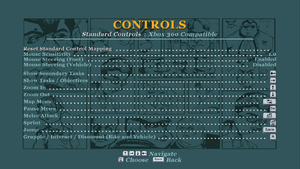 See Playstation 2/3 Button Prompts. If you experience very loud audio with no volume roll-off or no surround sound functionality when surround is selected, see the Loud Audio fix below. Official localization by «Logrus». Follow this guide. Delete the Bully Scholarship Edition folder. 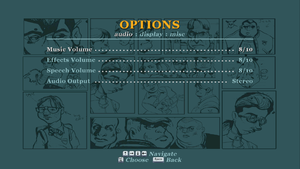 Bully: Scholarship Edition may not properly control audio volumes if you don't manually configure your audio device to match the game's audio configuration. If you have stereo speakers or headphones, ensure that your audio output device is configured as a stereo device via the Windows Sound properties and then set the in-game sound setting to stereo; if you wish to play the game in surround sound, set your audio device to 5.1 via Windows Sound properties and then set the in-game setting to surround. Open the Start Screen/Start Menu, type mmsys.cpl and press ↵ Enter. In the Playback tab, right-click on the Default Device (marked with a tick ) and choose "Configure Speakers" from the menu. Select 5.1 Surround or Stereo. Click through the remaining steps and click the Finish button in the last screen. You absolutely must select 5.1 Surround if you want surround to function properly in the game, selecting 4.0 or 7.1 will prevent surround sound from functioning properly. This option may not be available for some USB headsets. 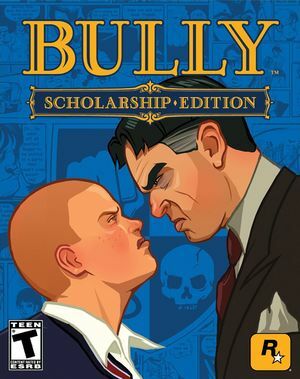 Soundtrack is located in MP3 format in <path-to-game>\Bully Original Soundtrack. ↑ 1.0 1.1 File/folder structure within this directory reflects the path(s) listed for Windows and/or Steam game data (use Wine regedit to access Windows registry paths). Games with Steam Cloud support may store data in ~/.steam/steam/userdata/<user-id>/12200/ in addition to or instead of this directory. The app ID (12200) may differ in some cases. Treat backslashes as forward slashes. See the glossary page for details.